Blogs, News, and Events / Blogs / Designers of Game-Based Learning: Do They Exist or Are They Bigfoot? Is the supply of learning professionals who understand game design ready to meet the demand for game-based learning? 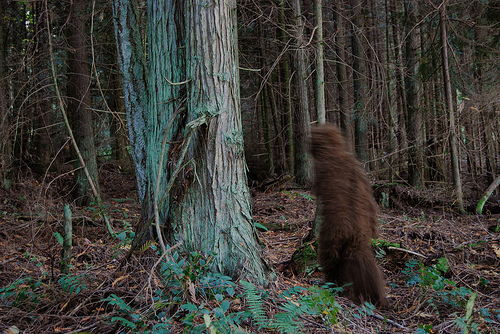 Do we search for fictional Bigfoot — or get creative with our roles, teams, and processes? It’s a law of nature: things change. Advances in technology and our understanding of psychology foster new ways of communicating. Ten or fifteen years ago, e-learning transformed instructional design. We’re seeing it again with the gamification of performance improvement. We are past the tire-kicking stage. As a creative director, I’ve gone from pitching ideas and hearing “people won’t get it” or “no budget,” to having my clients leap on creative ideas for game-based learning. Don’t get me wrong: corporations and companies such as mine have been developing higher-interactivity and scenario-based e-learning for years. The difference is that these types of projects would typically be a flagship effort — a shining star amidst a lot of basic interactivity courses. Now e-learning is expected to be enriched with innovative ideas and techniques from game design — from motivational elements, such as timers or badges, to connecting with learners through more-interactive storytelling. This is quickly evolving to be the new norm, and not an isolated custom event. I’ll be happy to share my thoughts on the efficacy of game-based learning, but I’ll save that for another time. We’re in a perfect storm that’s building demand for integrating play and learning. Millennials are entering the workforce, and we need to train them the way they grew up learning — through play. The broader industry of gamification is booming, revolutionizing everything from brand loyalty to corporate wellness. And we have our own pioneers — Karl Kapp, Julie Dirksen, and more — sharing the why and how to introduce game dynamics into learning. Why is producing game-based learning different from standard e-learning? It used to be that the instructional designer (ID) led the design process. The ID conducted analysis, defined the learning objectives, and envisioned the interactivity (often choosing from pre-determined templates). The creative director defined the visual approach, and collaborated and brainstormed on the more-interactive elements, but the ID was steering the bus. Enter game design. Ask yourself who has the expertise to conceptualize the game concept — a puzzle, a race, or an office simulation — and define the rules. The ID? The creative director? Your kid brother? It’s not as easy as saying, “Hey, let’s throw in a timer and some badges.” Someone has to understand and embrace the business/learning objectives, how adults learn via a gaming experience, and how learning is enhanced through the gaming elements. Someone has to define the actions, the game elements, and their behavior. Someone has to communicate the concepts to the developers, and help the project manager understand if it can be delivered on time and on budget. Someone has to present the ideas to clients and get them fired up. Now do you get me about the Bigfoot thing? At this moment, the shift is a tall order. It’s required a new level of up-front collaboration, and more participation by my interactive design team. The ID needs to embrace game design, and the design team needs to embrace ID principles. Are we seeing a new way of collaborating — or even a new role altogether — emerge? I’d love to hear how your teams are grappling with this issue. Over time, the talent pool will catch up with the demand. IDs will study up (they are good at that) and pursue continuing education in game-based learning. Game industry professionals will cross over, just as many of us started in web design and made the leap. Project managers will gain experience with the changes to process and budgets. And remember all those Millennials entering the workforce, who have deep experience as gamers. Similar to the transition to e-learning, people will learn on the job, attend schools with gamification programs, and add skills that will make them more highly valued and relevant than their peers who did not advance to the next level. In the meantime, if you lead a team, what steps can you take? Think before you leap. Simply throwing in leaderboards and badges does not successful gamification make. Who is your audience? What are your objectives? Will gamification meet them or is there a better way? Don’t be held back by old rules. Designing a creative user experiences requires breaking out of your current framework. Get your A-team together and assess strengths within your existing team. Do you have IDs or developers who get it? If not, start looking for them or accept that you’ll need an outside vendor. Add time in the process for collaboration. The detailed design stage is ideal for collaborative brainstorming between your creative director, instructional designer, and lead developer. Support those interested in game-based learning by approving continuing education, books, and conference attendance. Empower a champion and allow her to become immersed in the field and bring ideas back to your team. Be realistic. Embrace the future. It’s okay, shift happens. And, for goodness’ sake, play some games! And let’s keep looking for Bigfoot. If you catch him, you might even see your name in lights! Thank you for this wonderful note. Really enjoyed reading it. You guys exist, I knew it! You even read blogs on gamification, awesome!